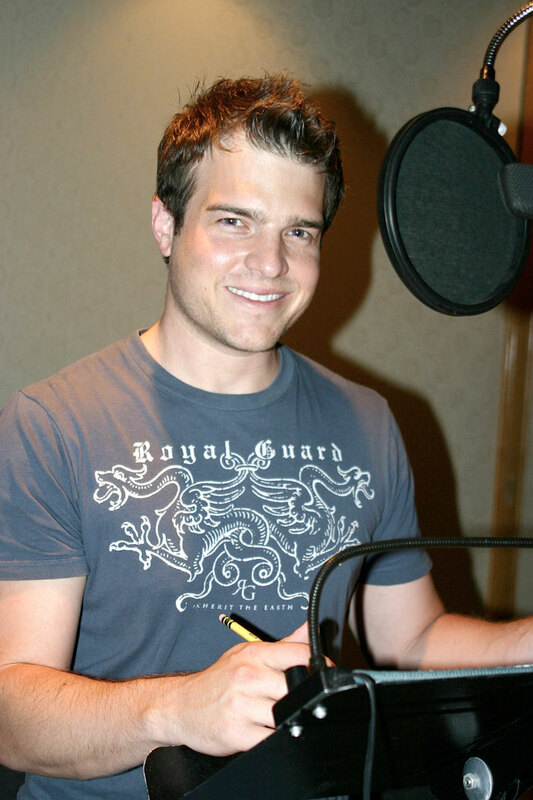 Josh LeBar draws on all kinds of life experiences when giving voice to Flash Thompson for "The Spectacular Spider-Man." LeBar, best known for his role as agent Ari Gold's arch rival Josh Weinstein on HBO's "Entourage," has lived the life of both a prep jock and an aspiring super hero â€¦ so taking on Flash Thompson's persona wasn't much of a reach. LeBar, best known for his role as agent Ari Gold’s arch rival Josh Weinstein on HBO’s “Entourage,” has lived the life of both a prep jock and an aspiring super hero â€¦ so taking on Flash Thompson’s persona wasn’t much of a reach. Growing up in Cincinnati, LeBar was the captain of his high school football team and then advanced to Butler University, where he starred for a year before a shoulder injury ended his career on the gridiron â€“ and permanently steered his livelihood toward the performing arts. LeBar’s comic book experience is a little less refined â€“ as you’ll note in the Q&A below. 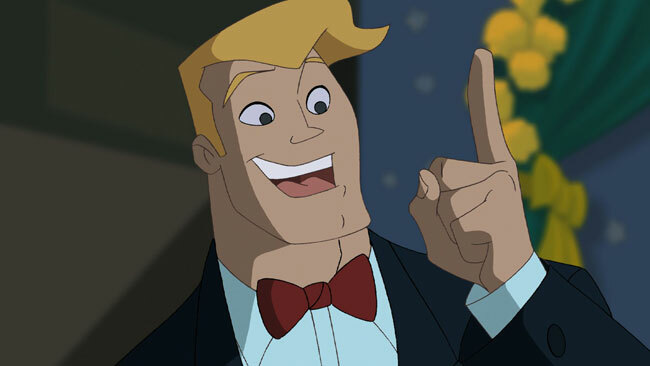 In addition to “Entourage,” LeBar has been a guest star on TV series ranging from “CSI: New York” and “Boston Public” to “7th Heaven” and HBO’s “Tell Me You Love Me.” In this Saturday’s episode of “The Spectacular Spider-Man,” LeBar gets the opportunity to give Flash Thompson a more heartfelt side that goes beyond his usual goofy bully approach. “Intervention,” an all-new episode of “The Spectacular Spider-Man” premieres this Saturday, June 7 at 10:00 a.m. ET/PT on CW4Kids. Question: Do you have any relatable history in the super hero arena prior to assuming the role of Flash Thompson? Josh LeBar: Oh yeah, I did a lot of research (LeBar snickers) â€“ I played The Flash at Six Flags St. Louis. I had to put on the muscle suit and the roller blades, so I could whoosh around the park for about four hours a day. I’d just be flying through the gates of Super Hero Den â€“ it was pretty much the easiest job ever. 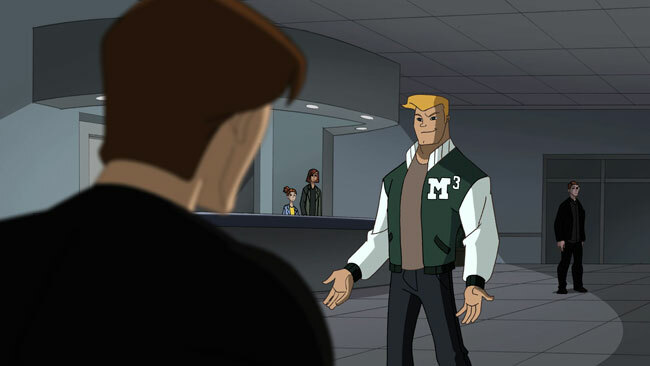 When I got the part of Flash Thompson, I thought that was just a funny coincidence. Question: What do you bring to the role of Flash Thompson? Josh LeBar: I think Flash has a certain brashness, but he also has a likeability, so he’s not a complete doof that you hate. He’s a dichotomy â€“ he’s got a few different sides, and he surprises people. I was both a theatre guy and a football guy in high school, and people tried to stick me into that one-note category, depending on how they knew me â€“ and I didn’t like being stereotyped. So when the (Spider-Man) show gives me the opportunity to represent his other sides, like this week when you see Flash’s compassion rather than just all that testosterone, I really enjoy showcasing that part of his character because I can relate to his situation. Question: As a relative newcomer to the Los Angeles acting scene, you seem to have had some quick success â€“ between the regular gig on “Entourage,” guest starring roles and a main cast voiceover job on “The Spectacular Spider-Man.” Is it as easy as it appears? Josh LeBar: I think I’ve been on about 600 auditions since I got to LA, and I consider my ratio (of success) pretty good. I used to log all the auditions, but it got depressing. Spider-Man is a real blessing because it’s employment that’s consistent, and it’s great acting. You aren’t defined by your face in animation, so you don’t get over-exposed. I do one episode of “Entourage,” it gets aired 40 times and my face gets played out. You can get typecast. Here, you get to step in every week and use your voice as your instrument and really push some limits. You really get to participate in the acting part of the job. Question: This is your first true voice acting experience, and Spider-Man records its actors together rather than individually. How are you acclimating to this process, and was there any intimidation factor entering the booth for the first time with 10-12 other actors? Josh LeBar: Everyone has made this a great experience. This is an amazing ensemble cast â€“ they’re all complete and total professionals. It’s fun, because I’ve watched all of them in their iconic roles. I used to watch “Coach,” and here’s Bill Fagerbakke. I loved “L.A. Law,” and I’m standing next to Alan Rachins. I’ve never missed a “Nightmare on Elm Street” movie, and the first week I did Spider-Man I’m right here with Freddy Krueger himself, Robert Englund. It’s amazing to be a part of such a great, experienced cast. Moreover, the calibre of the voice actors on this show â€“ the people you normally never see on camera â€“ are beyond amazing. These are the real A-listers. You have no idea how good the people are that do the Saturday morning cartoons until you actually get to see them in action. It’s really humbling. They walk in and just start switching between three or four characters on a dime. Actors like Kevin (Michael Richardson) and Daran (Norris) and Vanessa (Marshall) â€“ I’m just in here stocking up massive amounts of experience and information from these pros. It was a little intimidating at first, but I’m more confident now because I’ve now seen how the best of the business do it â€¦ and I just try to emulate that. 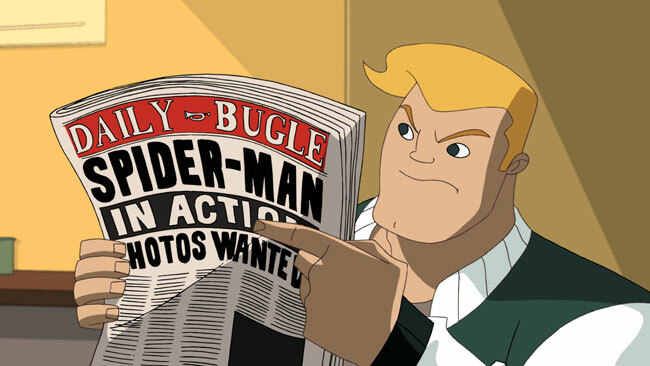 Question: Has animation and comic books had any influence on your life prior to joining the cast of “The Spectacular Spider-Man”? Josh LeBar: I was a cartoon junkie as a kid â€“ I’d make my mom wake me an hour early so I could watch cartoons before school. I never missed a “GI Joe” and I always loved the old Batman series, and things like “Thundercats” and “Voltran.” I still love those shows. But now I have two nieces, and they don’t get to watch “Entourage” and my primetime shows, so they’re very excited to see their uncle as a cartoon character. And I’ve got my TIVO and my alarm set for Saturday mornings. 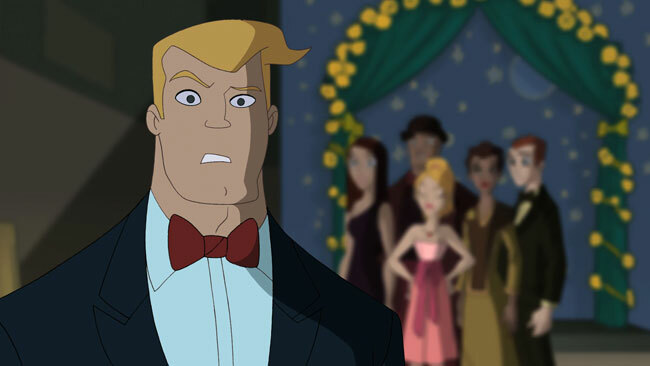 via The CW and The Kids’ WB!